Ladies beachwear white rose gold lace insert beach dress. 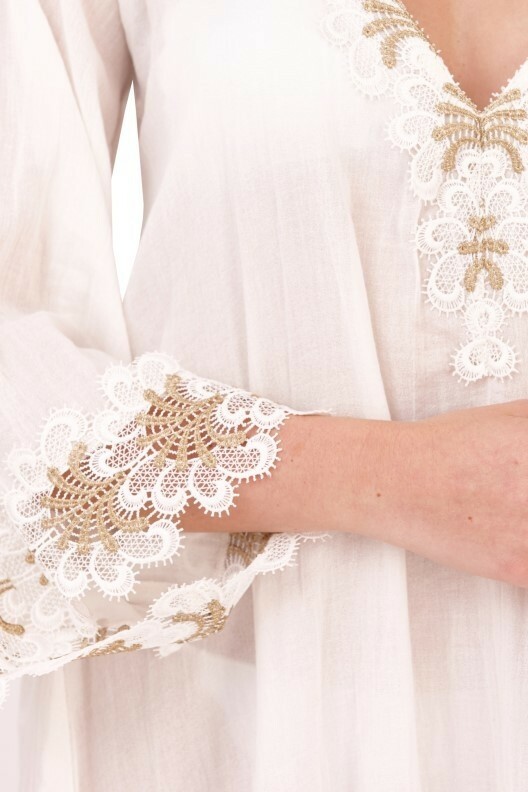 Featuring rose gold embroidery on front and v-neckline. Available in sizes S,M & L. Comes in packs of 12. Please contact us to pre-order.